SCHOOLS across the UK have been put on lockdown amid a major threat on children's lives. Police have confirmed 'malicious communications' had been sent to schools across the country from Durham to Devon. The warning says that at 15:15 Children leaving School will be hit with a car. A threat has been issued to schools with at least 12 schools in Devon and Cornwall affected, schools in Durham have also received the alert. A police source told The Plymouth Herald: "Police in Plymouth believe a number of schools in the city and beyond have received a threatening email which suggests children will come to harm when they leave the premises." Parents have frantically been arriving at schools to collect their children. A spokesperson for Devon and Cornwall Police has said: "We are aware of a series of malicious communications to schools in Devon and Cornwall as well as across the country." 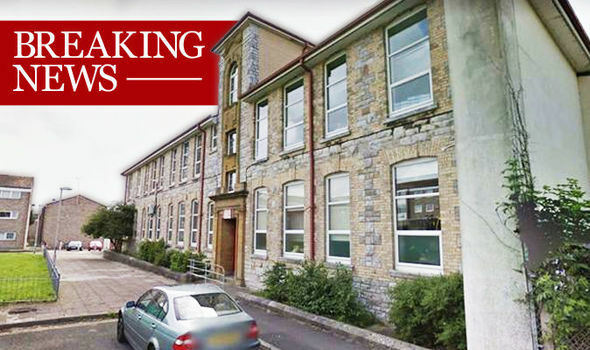 A parent has said a caretaker from Marlborough primary school in Plymouth came out to tell parents that there was a terrorist threat and that a call had been made to say if the children were released they would be ‘hit with a car’. The Police said: “Enquiries are being carried out to establish the facts and forces are working together, along with the National Crime Agency, to investigate who is responsible.The emails say 'that at 3.15pm a car will drive into as many students as possible as they try to leave'." It is not known whether this is an elaborate hoax or not and the Police are taking nothing for granted. It has been sent to as many schools as possible in order to sow as much panic and confusion as follows. The email was sent at 10:00 am this morning. Read: "Is the whole Russia story one giant Smokescreen?"